Fourth-year student Ade Ayoola recently became one of 49 students in the world to be awarded the inaugural Knight-Hennessy Scholarship at Stanford University. The program will fully fund the cost of tuition for a group of graduate students to study at Stanford in the coming year. “I am very excited, and cannot wait to meet some of the great people in the cohort of students accepted,” Ayoola said. The Knight-Hennessy Scholarship Program, as stated on its website, aims to create a community of leaders to solve global problems through interdisciplinary approaches and collaboration, and accepted its first class of 49 students from a pool of about 3,600 applicants. Ayoola plans to pursue an M.D. during her time at Stanford. “I think medicine very much captures what I want to do—to serve my community in every possible way,” she said. In addition to pursuing an MD, Ayoola said she hopes to delve deeper into areas of public health and health policy. She wants to address the issues surrounding health care disparities around the world. 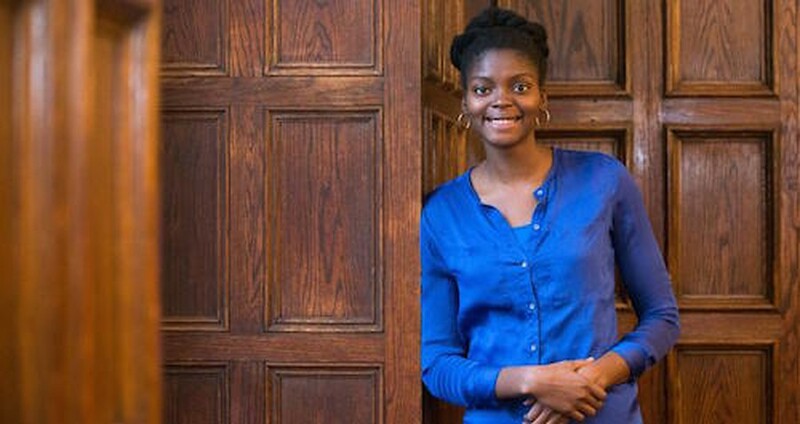 During her time at UChicago, Ayoola was glad to take advantage of opportunities such as the Summer Links Program and the Center for Global Health (CGH) Fellowship. The Summer Links Program was started in 1997 by former First Lady Michelle Obama, who was director of the UCSC at the time. Ayoola believes that Summer Links helped her understand the social issues in underserved areas in Chicago and greatly enhanced her understanding of health care disparities. The CGH Fellowship, meanwhile, allowed Ayoola to expand her efforts globally. “Through that Fellowship, I carried out a project in Nigeria for a summer and contributed to the lives of people in the area,” Ayoola said. Through the Knight-Hennessy Scholarship, Ayoola wants to continue to address global health issues because she believes in the ability of international research projects to yield solutions to a wide range of problems. “One of the things about the Knight-Hennessy Program that I am particularly excited about is engaging in more research projects in Africa and perhaps even spending a full year on research, something the program will fully fund too,” Ayoola said.